Although the cause and effect relationship between emissions of SO2 and NOX and acid rain damage is not universally accepted, most of the solutions proposed for the problem involve the disruption of that relationship. The basic approach is deceptively simple. In theory, a reduction in the emission rate of acid forming gases is all that is required to slow down and eventually stop the damage being caused by the acidification of the environment. Translating that concept into reality has proved difficult, however. The reduction in emissions of SO2 and NOX is a long-term solution, based on prevention. It is also a solution in which the environment itself has a major role. As emissions decline, it must adjust until some new level of equilibrium, reflecting the decreased acidity, is attained. There is concern that in some areas the damage has gone too far to be reversed completely, and there is currently some support for this point of view. For example, SO2 emissions in Britain have declined by nearly 40 per cent since 1970 (Caulfield and Pearce 1984), and, in Canada, emissions decreased by 45 per cent between 1970 and 1985 (Environment Canada 1991), yet the reduction in aquatic or terrestrial acidity downwind from these areas remains less than expected. The discrepancy may be explained in part by the continuing rise in NOX emissions, offsetting the decline in SO2, but it is also possible that the link between reduced acidity and ecological recovery is not linear. In that case, a specific reduction in acid emissions might not bring about an equivalent reduction in environmental damage (Park 1991). In Lake Oxsjon in Sweden, for example, the pH fell from 6.8 to 4.5 between 1968 and 1977. Despite the marked reduction in SO2 emissions from Britain and Sweden in the decade or so since then, the pH has only recovered to 4.9 (Mason 1990). Reductions of a similar magnitude have been identified in some Scottish lochs (Last 1989). Surveys in lakes in Ontario indicate that pH values may rise by small but significant amounts soon after acid input is reduced, but it may be 10 to 15 years before aquatic biota respond to the reduced acidity (Havas 1990). This indicates that natural recovery does seem to be possible, but that it is a slow process, taking much longer than the original acidification. 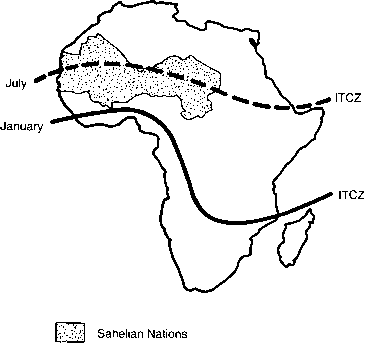 It may also indicate that some direct human input will be necessary, either to initiate the recovery process or to speed it up. One possible input is the addition of lime, which would produce an immediate reduction in acidity, and allow the recovery mechanisms to work more effectively. Lime has been used as a means of sweetening acid soils for many years, and may be the reason that in areas of acid soils agricultural land is less affected by acid rain than the natural environment. In areas where natural regeneration is no longer possible, the restoration of the original chemical balance of the soil by liming and appropriate fertilizer application might allow reforestation to be successful. lake with fish cannot be successful unless some buffering agent is added. In 1973, several lakes in the Sudbury area were treated with calcium carbonate and calcium hydroxide in an attempt to reduce acid levels (Scheider et al. 1975). Acidity returned to normal and there was an increase in nutrient levels, but, in the lakes closest to Sudbury, copper and nickel remained at concentrations toxic to fish (Ontario: Ministry of the Environment 1980). Similar experiments in Sweden since the mid-1970s have involved the liming of some 3,000 lakes and 100 streams, and have provided encouraging results (Porcella et al. 1990). Reduced acidity is often followed by recovery among the aquatic biota, Lower organisms—such as phytoplankton—which reproduce rapidly recover first, followed eventually by amphibians and fish (Havas 1990). Artificial buffering of lakes in this way is only a temporary measure which may be likened to the use of antacid to reduce acid indigestion. The neutralizing effects of the lime may last longer than those of the antacid, but they do wear off in 3 to 5 years and re-liming is necessary as long as acid loading continues (Ontario: Ministry of the Environment 1980). The treatment of the environment with lime to combat acidity is only a temporary measure, at best. It can be used to initiate recovery, or to control the problem until abatement procedures take effect, but since it deals only with the consequences of acid rain rather than the causes, it can never provide a solution. Most of the current proposals for dealing with acid rain tackle the problem at its source. They attempt to prevent, or at least reduce, emissions of acid gases into the atmosphere. The only way to stop acid emissions completely is to stop the smelting of metallic ores and the burning of fossil fuels. Modern society could not function without metals, but advocates of alternative energy sources—such as the sun, wind, falling water and the sea—have long supported a reduction in the use of fossil fuels. These alternative sources can be important locally, but it is unlikely that they will ever have the capacity to replace conventional systems. Nuclear power has also been touted as a replacement, since it can be used to produce electricity without adding gases to the atmosphere. It has problems of its own, however. Difficulties associated with the disposal of radioactive wastes remain to be resolved, and events such as the Chernobyl disaster of 1986 do little to inspire public confidence in nuclear power. Thus, although the replacement of fossilfuel-based energy systems with non-polluting alternatives has the potential to reduce acid rain, it is unlikely to have much effect in the near future. Since SO2 makes the greatest contribution to acid rain in North America and Europe, it has received most attention in the development of abatement procedures, whereas emissions of NOX—which are both lower in volume and more difficult to deal with—have been largely neglected. Similarly the development of control technology has tended to concentrate on systems suitable for conventional power stations, since they are the main sources of acid gases (Kyte 1986a). Sulphur dioxide is formed when coal and oil are burned to release energy, and the technology to control it may be applied before, during or after combustion. The exact timing will depend upon such factors as the amount of acid reduction required, the type and age of the system and the cost-effectiveness of the particular process (see Figure 4.12). 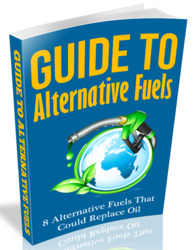 One of the simplest approaches to the problem is fuel switching, which involves the replacement of high sulphur fuels with low sulphur alternatives. This may mean the use of oil or natural gas rather than coal. In Britain, for example, the recently privatized power industry is actively exploring the increased use of North Sea gas as a means of reducing SO2 output, despite concern that this approach is a waste of a high premium fuel with a relatively short lifespan (Stevenson 1993). However, since most power stations use coal and are not easily converted to handle other fuels, fuel switching usually involves the replacement of one type of coal with another or even the blending of low and high sulphur coal. Much depends on the availability of the low sulphur product. In Britain, for example, the supply is limited (Park 1987), but in western Canada and the western United States, abundant supplies of low sulphur coal are available with a sulphur content only one-fifth of that which is normal in eastern coal (Cortese 1986). Such a difference suggests that fuel switching has a considerable potential for reducing SO2 production, yet wholesale substitution is uncommon. The problem is a geographical one. The main reserves of low-sulphur coal are in the west, far removed from the large consumers in the east. Transport costs are therefore high, and complete switching becomes economically less attractive than other methods of reducing SO2 output. Compromise is possible. Rather than switching entirely, Ontario Hydro, the major public electricity producer in the province, has a well-established practice of blending low-sulphur, western Canadian coal, with the high-sulphur product from the eastern United States. As a result of this plus the use of washed coal, the utility's SO2 output per unit of electricity has been declining with some regularity since the early 1970s (Ontario: Ministry of the Environment 1980). The amount of SO2 released during combustion can be reduced if the coal or oil is treated beforehand to remove some of the included sulphur, in a process called fuel desulphurization. The methods can be quite simple and quite cost effective. Crushing and washing the coal, for example, can reduce subsequent SO2 emissions by 8 to 15 per cent (Park 1987), which represents a reduction of 1.5 to 2 million tonnes of SO2 per year in the eastern United States alone (Cortese 1986). 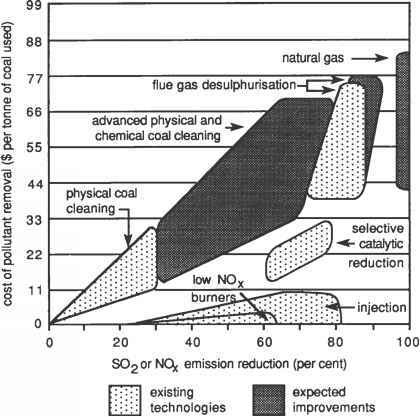 More complex chemical cleaning methods involving the gasification or liquefaction of the coal are also possible, but at considerable cost (Ramage 1983). per cent of the sulphur in the fuel is removed (Kyte 1986b). It has the added advantage that, since furnace temperatures are relatively low, it reduces NOX emissions also. In the United States, four thermal electric generating stations utilizing FBC technology came on stream in the late 1980s. Together they produce only 400 MW, but it has been estimated that a further 150 stations— producing 20,000 MW—could be retrofitted (Ellis et al. 1990). Flue gas desulphurization (FGD) is the name given to a group of processes which remove SO from the gases given off during combustion. The2 devices involved are called scrubbers, and may be either dry or wet operations. The simplest dry scrubbers act much like filters, removing the gas on contact by chemical or physical means. Sulphur dioxide passing through a dry pulverized limestone filter, for example, will react chemically with the calcium carbonate to leave the sulphur behind in calcium sulphate (Williamson 1973). Other filters—such as activated charcoal—work by adsorbing the gas on to the filter (Turk and Turk 1988). emissions by stages up to 70 per cent by 2003— will be met in large part by the installation of FGD equipment (Park 1991). Flue gas desulphurization is thus one of the most common methods of SO2 removal, in part because of the high efficiencies possible, but for other reasons also. Scrubbers are technically quite simple, and can be added to existing power plants relatively easily. Retrofitting existing plants in this way is less expensive than building entirely new ones, and in some systems the recovery of sulphuric acid for sale can help to offset the cost. None of the FGD systems described works well to reduce emissions of NOX from power plants. The best results for NOX control—up to 80 per cent reduction—have been obtained using a selective catalytic reduction process (SCR), which breaks the NOX down into the original N and O, but the price is high. To retrofit an existing thermal power station would cost an estimated $10,000 for every 1,000 kg of NOX removed, and maintenance costs would be substantial because the life of the catalyst is short (Ellis et al. 1990). Difficulties also exist with emission reductions from automobile exhausts. 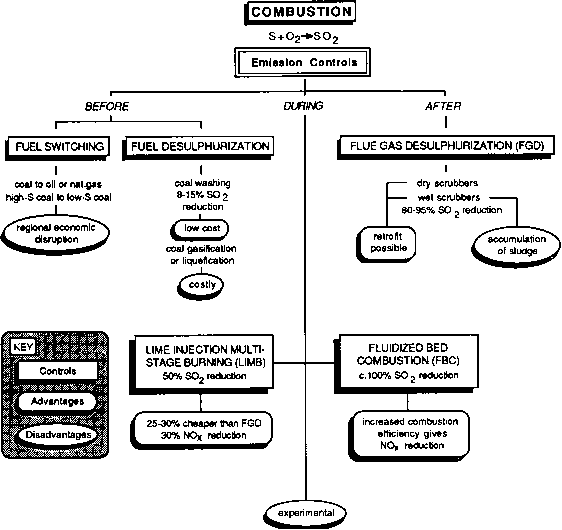 The development of technology that can produce a cooler burning internal combustion engine, or perhaps replace it completely, may be required before emissions of NOX from that source are reduced significantly (Park 1987). to environmental problems, and that is certainly the case with acid rain. What are some solutions to the problem of acid rain? What is a solution for acid rain only? What is the proposed successful solution for Acid Rain problem? What is a rainforest environmental issues solutions? What is the issue problem for the acid rain evironment? What are some solutions to environmental issues acid rain?